even middle aged dating. Everyone can relate. families dysfunctional in varying degrees? enough, they are clearly not rich. 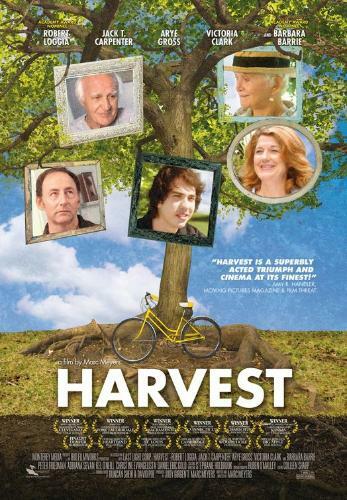 through an entire film is impossible, but Harvest comes closer than most. by her affair with Benny. history of bad blood, which has to do with loans, debts, powers of attorney and competition for Siv’s favor, you feel its depth. responsibility for the first time in his life, slyly inserts himself into the fray. A gentle, reflective score weaves in and out of the movie and effectively evokes Josh’s introspective mood. often an ugly moment of truth, when decades of stored emotional baggage suddenly explodes. messier and more complicated as the days dwindle and last chances loom.